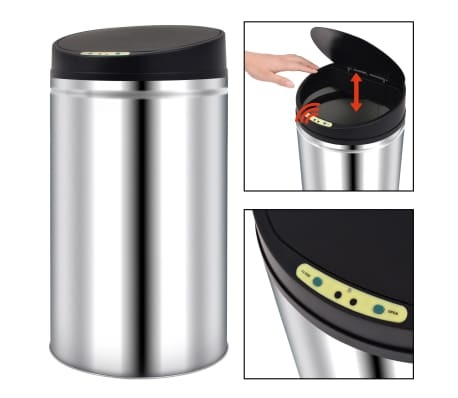 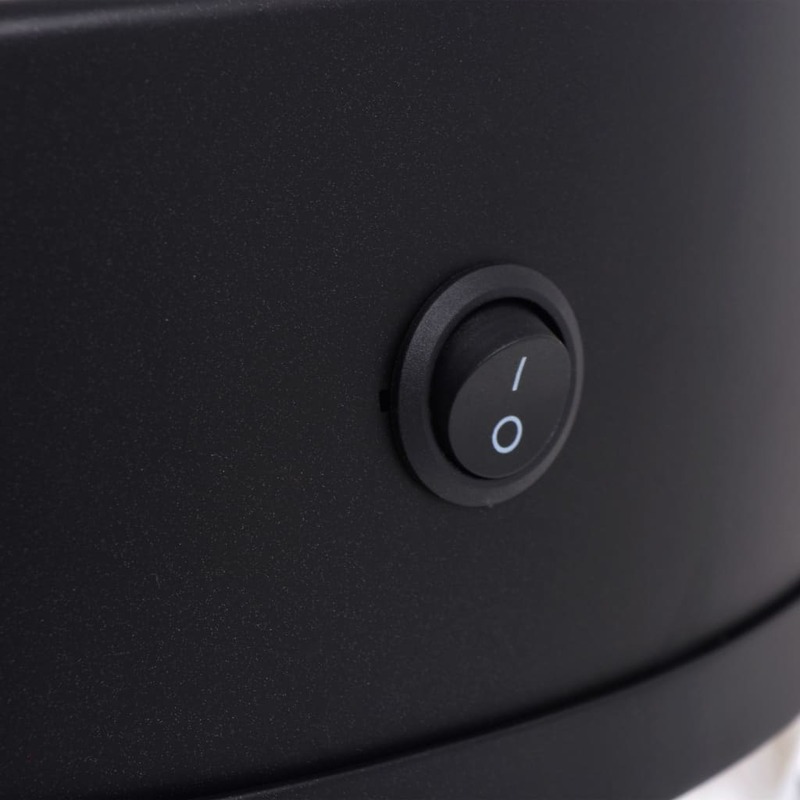 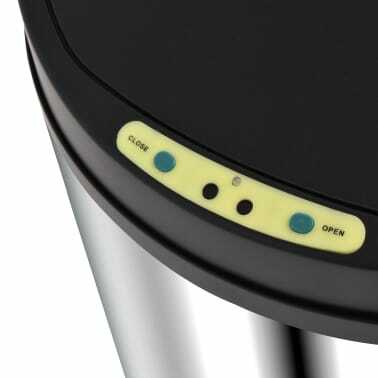 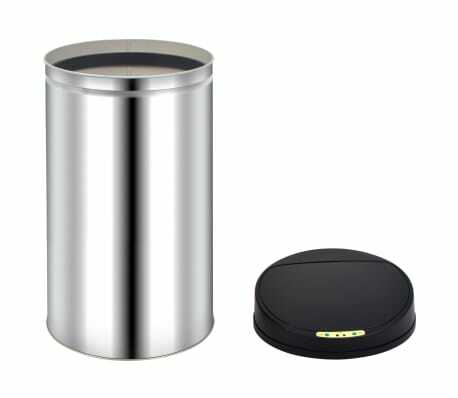 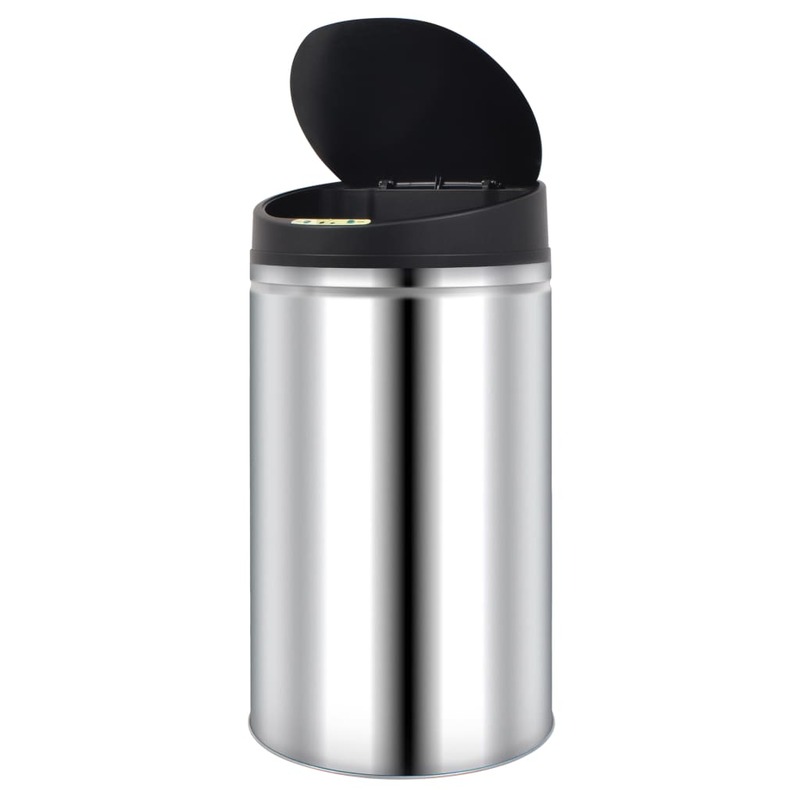 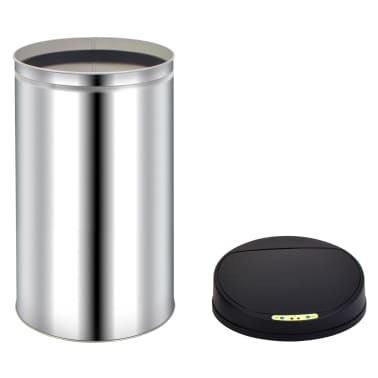 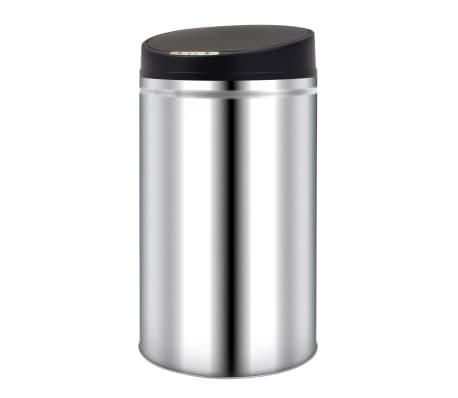 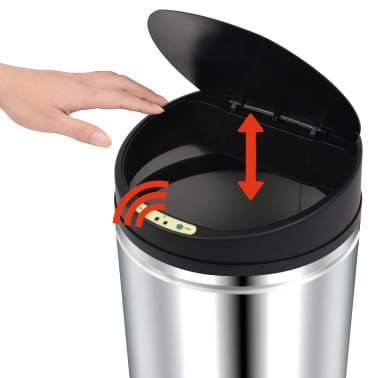 With this sensor garbage bin you can conveniently and hygienically throw away trash. 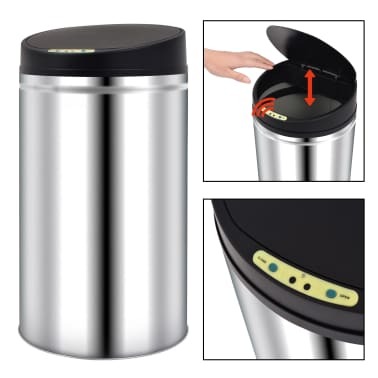 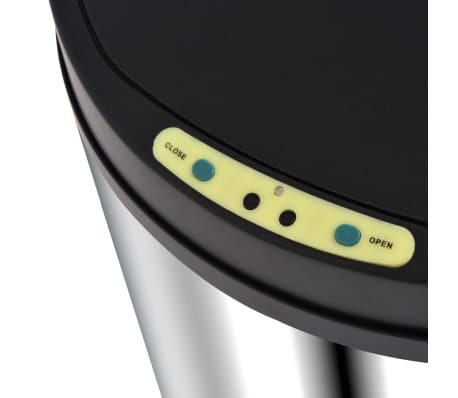 The lid will automatically open when your hands or other objects are located 20 cm from the trash can, and the lid will also automatically close when the waste is in the bucket. 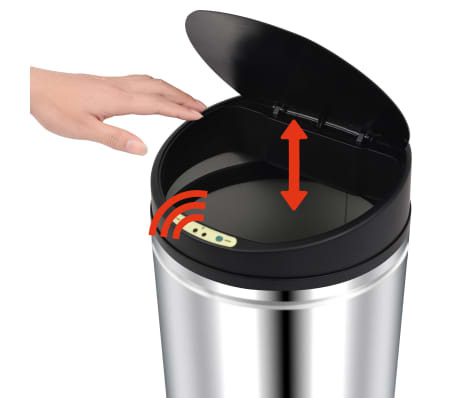 This garbage bin doesn't only have a sensor but also an LED display function thanks to the new high-tech design which runs on photo electricity. 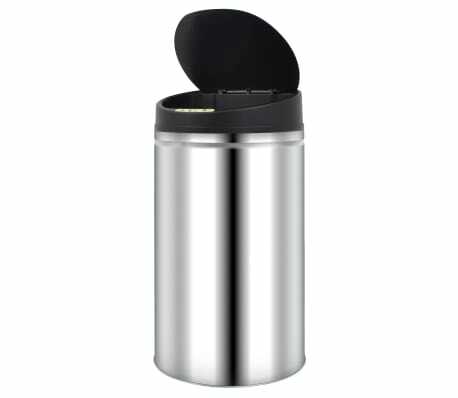 It has a stainless steel housing and a plastic removable lid.